ABS-CBN unleashes the most spectacular treats this Sunday (November 23) as "ASAP 19" brings knock-out performances from the best and top caliber Kapamilya stars. Feel the love this Sunday with spectacular surprises from the trending love teams: Kathryn Bernardo and Daniel Padilla, James Reid and Nadine Lustre, Enrique Gil and Liza Soberano, Janella Salvador and Marlo Mortel, and Kim Chiu and Xian Lim. Prepare for the world-class musical performances from Sarah Geronimo, Bamboo, Toni Gonzaga, and Charice. Be ready, too, for the ultimate concert experience from Gary Valenciano, Martin Nievera, Vina Morales, and Lani Misalucha. Appreciate the beauty of OPM with the musical spectacle of Gloc 9, Jay-R, Nelson Del Castillo, Kean Cipriano and Eunice, Donnalyn Bartolome, Looni and Abra, Rey Valera together with ASAP’s finest — Yeng Constantino, Angeline Quinto, Erik Santos, Jed Madela, Juris Fernandez, KZ Tandingan, and Piolo Pascual. Meanwhile, don’t miss the show-stopping and exciting dance numbers from Supahdance Royalties Maja Salvador, Enchong Dee, Rayver Cruz, Shaina, and Sam Concepcion. Also, watch out for the amazing karaoke showdown of Luis Manzano, Alex Gonzaga, and Marcelito Pomoy. Don’t miss the country’s longest-running, award-winning variety show, “ASAP 19,” this Sunday, 12:15nn, on ABS-CBN. For viewers who want to purchase ASAP official merchandise, simply visit the ABS-CBN Store located at the ground floor of ELJ building in Quezon City, or visit ABSCBNstore.shopinas.com and MyRegalo.com. Visit ASAP.abs-cbn.com to hang-out live with stars at ASAP Chill-Out. Also join the fun at “ASAP 19′s” official social networking accounts at Facebook.com/asapofficial and Twitter.com/ASAPOFFICIAL, and know the latest happenings in “ASAP 19” by tweeting the hashtag #ASAPFight. Liza Soberano and Enrique Gil looks very cute together.Liza Soberano looks very pretty and charming while Enrigue Gil looks HOT.They’re perfect for each other.so Kathniel and Jadine,out of the way cause Liza Soberano and Enrique Gil’s love team is on their way. if marian is the QUEEN, then why didn’t you support her movies at the tills??? the results were disappointing, same with the acting!!! 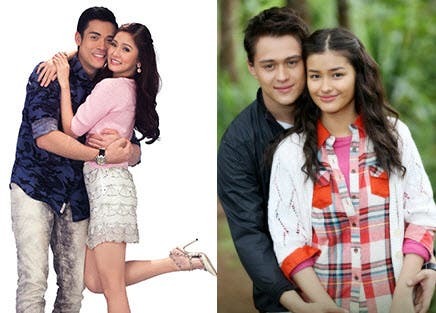 ABS-CBN stars are dominating in every way…period. Kakainis, replay ang asap kanina. starlets waley na waley kay queen marian!